Lot:42500 COLOMBIA. Santa Marta. 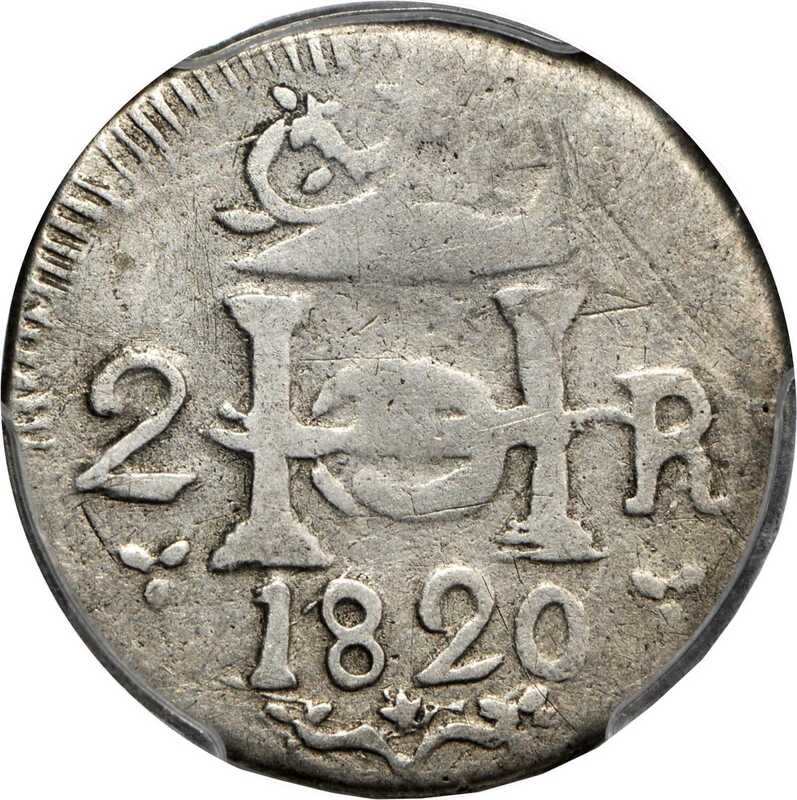 1820 2 Reales. Restrepo 117.1. Silver. VF-25 (PCGS). COLOMBIA. Santa Marta. 1820 2 Reales. Restrepo 117.1. Silver. VF-25 (PCGS).Another handsome example of this rarity, with light silver gray surfaces and no significant flaws beyond some natural granularity. Choice and historic, rare and important.